As a format, PDF has a lot going for it. PDF files are very neatly compresses and lightweight, which makes the format ideal for storing information and archiving it. It’s also a universal format, which means that someone viewing a PDF will seeing the exact same thing no matter what operating system they are using. PDF has a lot going for it when it comes to convenience, but at the same time, it can be an awfully frustrating format many times. The frustration inherently stems from the fact that a PDF cannot be easily edited. If you are receiving information via PDF that you will later need to edit and manipulate, it can be very bothersome. This is especially true when you receive some sort of tabular data that you need to use. Ideally, you would be able to receive that type of data in an Excel file so that you can edit and manipulate it right off the bat. 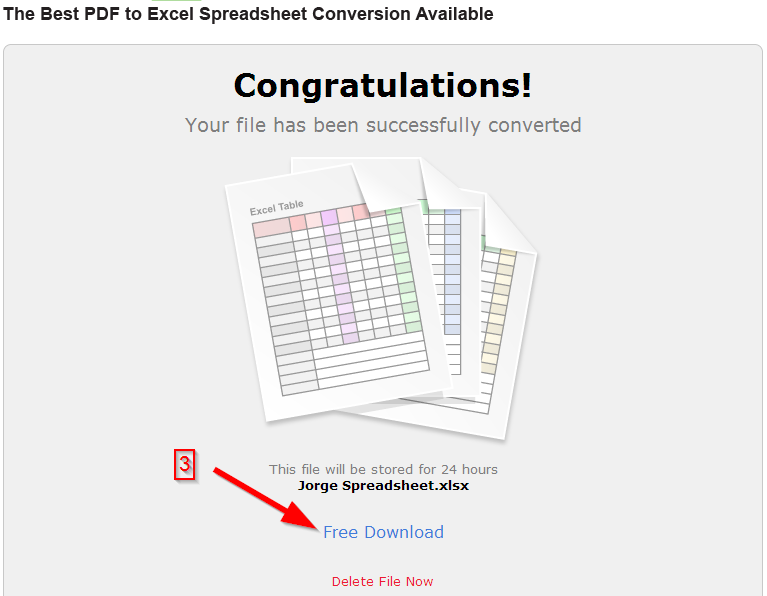 It’s a good thing that there are some nice online tools available that can help to convert data trapped in stubborn PDFs into Excel files. 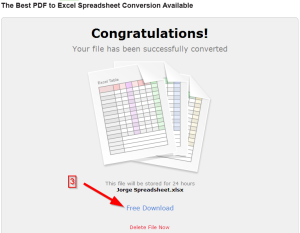 A great free one to check out is ConvertPDFtoXLS.com. Not only is it absolutely free to use, the quality of the conversion is surprisingly great for a free tool. You will receive an accurately converted Excel file which will be ready to use immediately, without warranting additional edits to make the file look right. And best of all, it’s very easy to use. First, click on the “Browse…” button to locate the PDF file you want to convert and upload it. In Step 2, simply enter your email address and click send. That’s all you have to do. Once the conversion is complete, a download link will be sent to your email address. 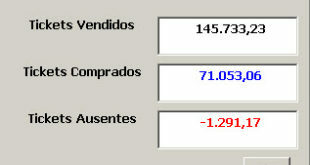 Once you have received it, click on the link to download your newly created, easily editable Excel file. Granted, you’ll have to wait about 30 minutes to receive your download link, but it sure beats having to pay to get your full converted file immediately, which is the case with most similar online file converters.